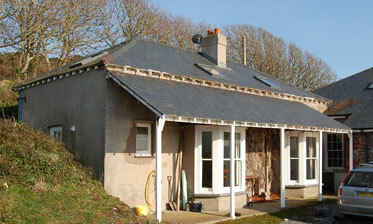 For larger groups Joan's Cottage can be rented with the Bungalow. 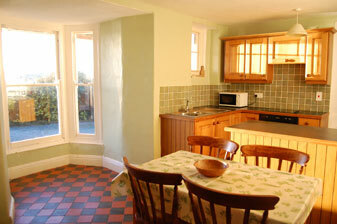 The Cottage has a modern kitchen / Breakfast room and a living room with an open fire. 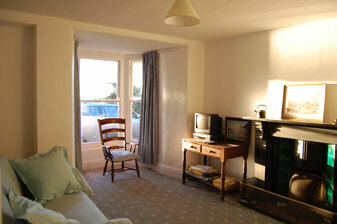 Lounge - Bay window giving fine views across to Dale and to the upper part of the bay. Open fire. Kitchen / Breakfast room. - Modern fitted kitchen with ceramic hob, electric oven, fridge-freezer, dishwasher and washing machine. Bathroom - Shower, bath, toilet and washbasin. The accommodation is comfortable but simple. There is full central heating throughout. Bedroom 1 - Four single beds.